When God had finished His creation of the Earth, He discovered that He had made a slight miscalculation. He had some sediments in spare. After considering a new moon just for fun, God decided to throw it down into the North Sea. The heap of gravel and chalk became Denmark. This creation story is not true, of course. Any decent nerd knows that the Earth, and thus Denmark, was created in Slartibastfast’s planet factory, dinosaur fossils and all. Friendly mocking of the Danes’ lack of proper bedrock aside, we Norwegians love to go there for the beer, smørrebrød and the beaches. 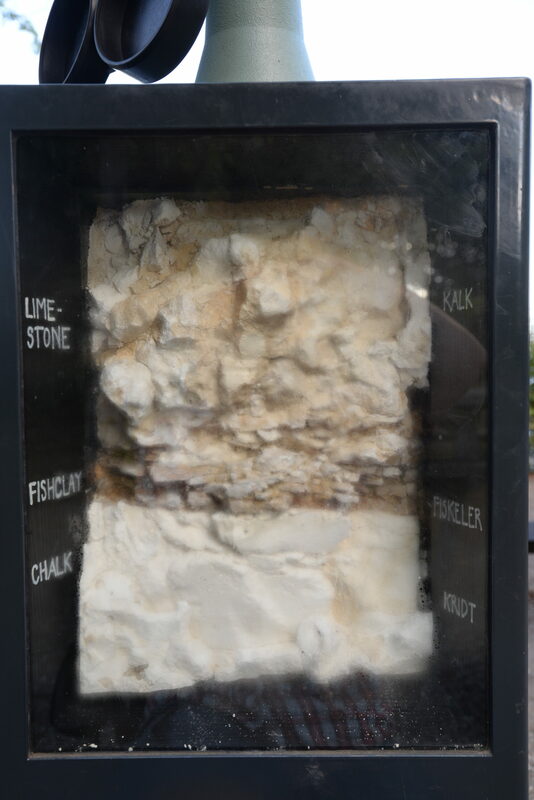 Sometimes we even go for the geology, because the Danish chalk may serve as a field analogue: Norwegian giant oil fields like Ekofisk and Valhall have their reservoir in a chalk similar to the chalk that makes up much of Denmark. 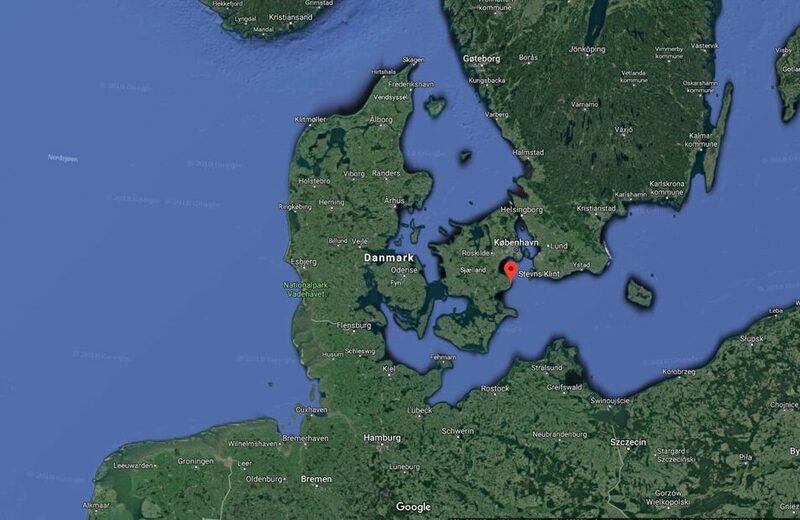 On the fossil side, the Danes have two world class lagerstättes: The Moleret lagerstätte on northern Jylland, with perfectly preserved 55 million year old fish, birds and turtles, and the Faxe chalk quarry, which is one big fossil coral reef, 63 million years old. Amazing places, but too young to contain any dinosaur fossils. The dinosaurs died out 65 million years ago. 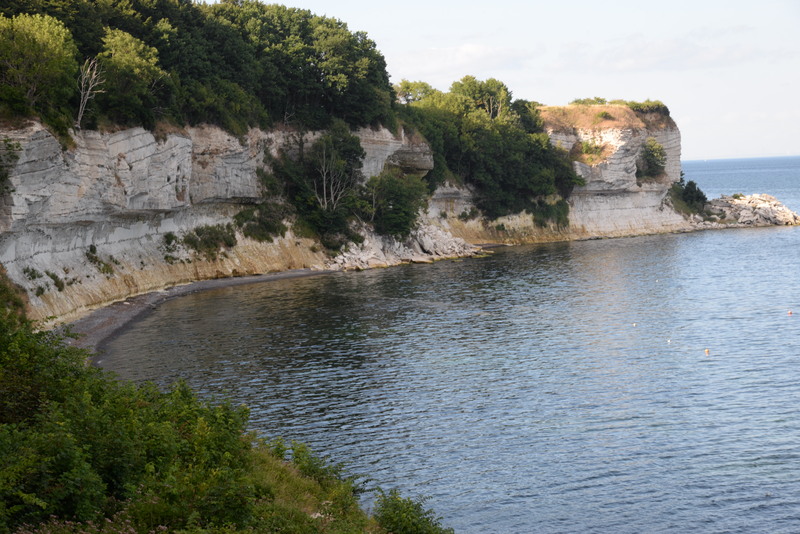 And Denmark has one of the keys that unlocked the mystery of why the dinosaurs left the building: Stevns Klint on Sjælland. Why did the dinosaurs, the rulers of the Earth, die out – and two thirds of higher life together with them? It was one of the big questions of evolution, all since dinosaurs were discovered in Victorian times. Were they victims of pandemics? Gamma ray bursts from a supernova far far away? Climate change? Overtaken by the agile mammals? Killed by climate change from the enormous Deccan Traps volcanism, in what is now India? Then, in 1980 physics-father and geologist-son Luis and Walther Alvarez proposed what any six-year-old today knows: A meteorite killed the dinosaurs. In a thin clay layer in the village of Gubbio, in the Appenine mountains of Italy, just at the time border (often called the K-T border for short), they found very high levels of the rare metal iridium. Iridium is very rare on Earth, but more common in meteorites. So much iridium, that it was unrealistic that it could come from only slow earthly deposition. < href=http://nautil.us/issue/32/space/the-day-the-mesozoic-died>The only realistic alternative was a big delivery of iridium from above – a meteorite around ten kilometers in diameter. The idea was so weird, that the Alvarezes realized they needed to test it other places. And the first of the other places was Stevns Klint. 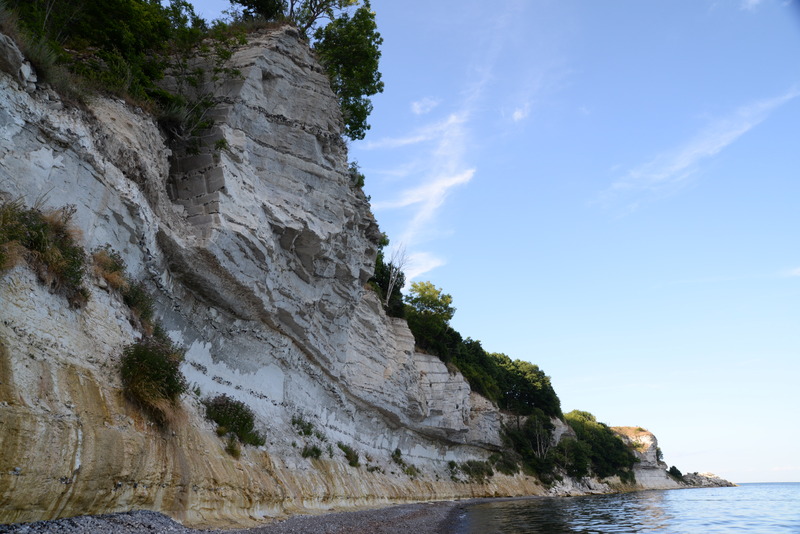 Stevns Klint is a 40 meters tall cliff on the east coast of Sjælland. The cliff consists of chalk, and is vertical because the sea gradually eats its way beneath it. The lower half of the cliff is beautiful, bright white, with some pearl strings of black flint nodules. The upper half is more irregular, and with yellow or peach color. Between them is a few centimeters thick, black layer of clay. The danes call it “fiskeleret”, the fish clay, because it occasionally contains fish scales. Not much to the eye, but one of the most important geological layers in the world: The border between the Cretaceous and the Tertiary, the middle-Earth and the young Earth. An innocent line with much action: The “Fiskeler” clay is the thin black line between the white cretaceous chalk with black spots of flint, and the yellowish limestone above, the first rocks in the Tertiary and the rule of mammals. The chalk beneath is from the latest Cretaceous, and teeth from Mosasaurs are sometimes found there. The Mosasaurs were big marine reptiles, among the top predators in dino-time seas. The yellowish limestone, on the other hand is from the first time after the catastrophe, and has no such fossils. 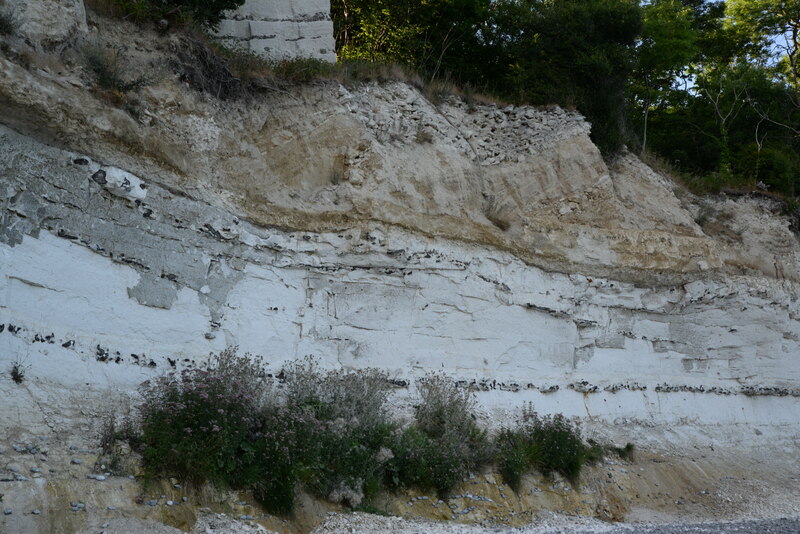 The thin “Fiskeleret” clay layer at Stevns Klint told the same iridium story. Since then, the iridium anomaly was found at the border across the world, and finally the crater itself: A hundred kilometer wide impact structure, straddling the coast on the Chixulub peninsula in Mexico. It had since been covered by sediments, but seismic data and oil exploration wells revealed it. Stevns Klint today is a peaceful corner of Denmark, on the UNESCO World Heritage list with a typical Danish kro country restaurant and a middle age church. A steep stair leads down to the rocky shore beneath the cliff. With the chalk wall on one side and the sea on the other, the shore feels like a tranquil, solitude spot, away from the busy world. The Border – mounted in the socket of a tourist telescope at Stevns Klint. The white chalk is the Cretaceous, the brownish limestone is the beginning of the Paleocene – and the “Fish clay” in between is when the big schmack happened. 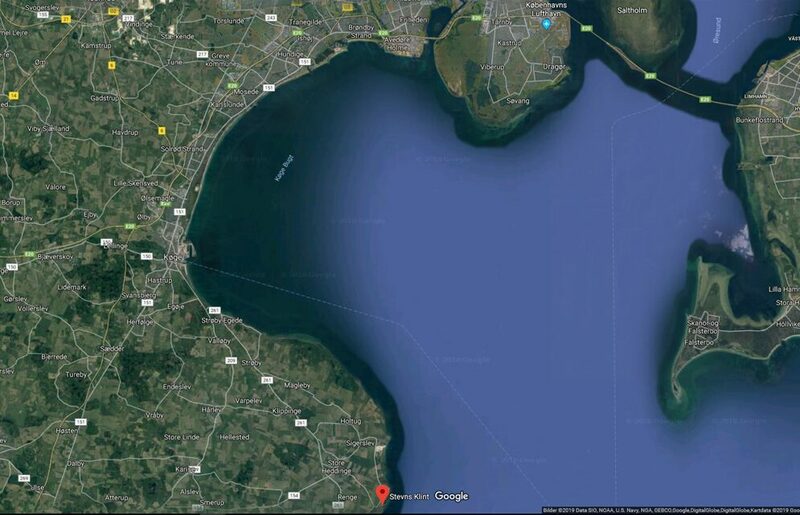 Stevns Klint is around 70 km south of Copenhagen, and easy to reach by car: Follow E20 south from Copenhagen, just after Køge take left onto Route 150 and then Route 261 all the way to Stevns Klint. The drive is around one hour, and there is a well organised parking site at the Klint. Denmark is the bicycle country, and bicycle roads often follow the main roads. Follow Route 151 south from Copenhagen, and then Route 261 to the Klint. 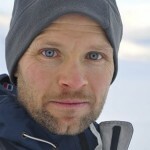 It takes around 3,5 hours to bike from Copenhagen.